Fast and controlled volumetric mixing for large jobs. With a computer controlled 7-yard material hopper and a 13′ mixing auger, the Cart-Away Volumetric Mixer will produce 1-yard of concrete every four minutes. Cart-Away has been producing fully automated volumetric mixers since 1993. With a 13′ blending auger a Cart-Away Automated Mixer (CAM), can keep mixing as long as you keep aggregates in the hopper and cement in the silo. Precast operators love the flexibility of choosing the total mix volume needed per form. 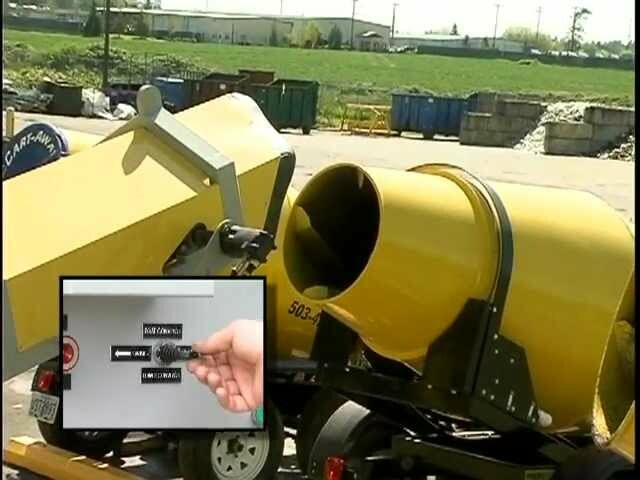 These mixers deliver a yard of mixed concrete at the end of the auger in just 4-minutes. We can produce single hopper or double hopper mixers. 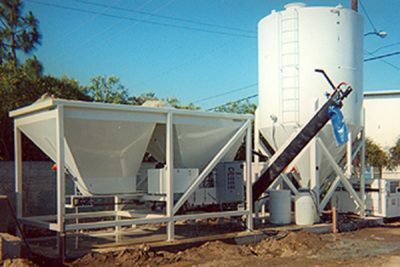 You can choose a pad-mounted 200 barrel cement silo, a portable silo or an even a mini-silo to hold your cement. 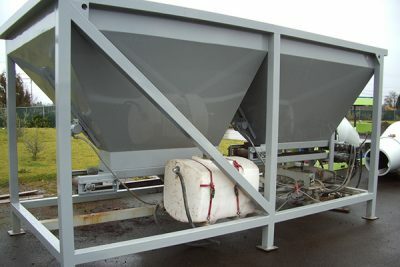 We have had customers request portable continuous mixing solutions in the one-hopper configuration. Volumetric mixing technology has been in the Cart-Away/U-cart DNA since 1982. Let us create an efficient auger mixer for your specific needs.